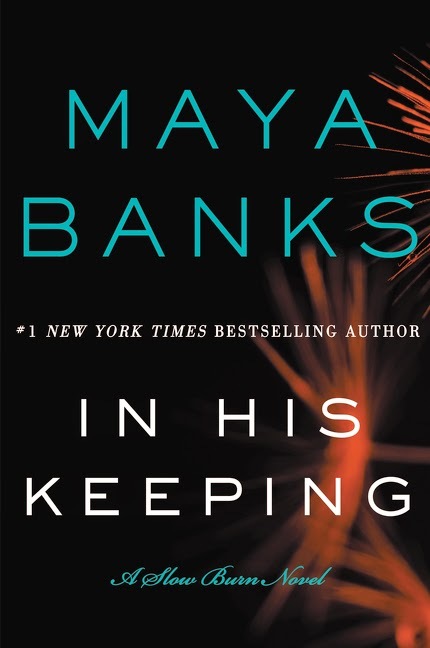 In His Keeping is a romantic suspense with lots of action and a paranormal twist. I didn't read book 1 in the series, but after reading this one, I'm very curious about Caleb and Ramie's story. I loved the way the story started, loved the scenes between main character Arial's parents. They were far and away my favorite part of the book. Arial had been sheltered by her parents her entire life due to her unusual abilities and the past that threatened to hunt her down. Though spoiled and naive, she was fiercely loyal to her parents. When her parents were taken, she would do anything to save them. The author really pounded this fact in, page after page, chapter after chapter. Arial loved her parents and would do anything to save them. Beau was the ultimate alpha male: strong, silent, gruff, but willing to do anything for those he loves. Which was great for Arial since this man fell for her instantly. I don't really mind insta-love, and this was certainly the king of all insta-love. Under immense pressure, I understand why Arial would cling to Beau-- he became her world and her only hope. This novel featured lots of action and suspense. Just the desire to know who was after Arial was enough to keep the pages turning. Since I liked her parents so much, I really wanted to know what happened to them. The romance between Beau and Arial was steamy and hot. The only thing that bugged me was the overall redundancy I mentioned above. I felt like the author was writing for someone with short-term memory loss. Overall, I enjoyed this story-- loved the paranormal aspect and the action-packed plot. I am loving the sound of this book and the simple covers. Romantic suspense with a paranormal twist covers my favorite genres. Thanks so much for sharing an author I am unfamiliar with. Have a wonderful weekend, Kimber and Maya. Those are my two favorites too :) Have a good weekend!! It's funny because from the sound of this I wouldn't have expected for there to be a paranormal twist. Glad you still liked it even though you hadn't read them in consecutive order!